Ordinary words of any language can be represented as strings of phonemes of that language (together with indications of phonemic stress, tone etc., depending on the language). But there are some “words” that are exceptions to this generalization. Clicks in many languages are a case in point. The sound represented in English spelling as tut, tut tut, tsk or tsk tsk is articulatorily a single or repeated click (often categorized as ‘dental’, though in English it’s generally actually alveolar) and is used to show disapproval or annoyance. It stands outside the phonological system, since it is not a phoneme of English (no lexical words include it), and it stands outside the syntactic system, since it does not enter into sentence structure (it’s not a constituent of any larger syntactic unit). So we call it ‘paralinguistic’. Note, though, that its meaning and use are language-specific. What applies in English does not necessarily apply in other languages. In Greek or Hebrew the same click sound does not show annoyance, but stands for ‘no’ (a cause of possible misunderstanding and dismay for English tourists asking, for example, if a ticket or room is available). There are other spellings in use, too, such as yuk, eeurgh, eeeuw. The Guardian cartoonist Steve Bell puts this into the mouth of his French artist character as èrgue, which implies the pronunciation ɛʁɡ(ə). (I believe the real French equivalent is pouah pwɑ, which must lead to interesting punning possibilities when discussing weight poids or peas pois.) To decipher the cartoon (click to enlarge) you have to know French spelling conventions and be familiar with the mangling English vowels stereotypically undergo in the mouths of the French — and you have to put the result into nonrhotic English, e.g. “murney” = money. What started this train of thought was a FB status by my nephew. I haven’t got meh in LPD. It can’t have been around for more than about ten years, if that (can it?). I obviously ought to put it in the next edition. It means something like ‘I’m not impressed’ or ‘I don’t feel very enthusiastic’. It’s pronounced me (like met but without the final t), which IS a string of English phonemes but violates the phonotactic constraint that disallows words ending in the DRESS vowel. Was it the Simpsons who invented this addition to our paralinguistic repertoire? Or at least who popularized it? my intuition tells me that the Simpsons may have popularised this realisation of 'meh', and the spelling, they didn't invent it. In my real speech (non-ironic) it is a vocalisation characterised by a nasal sound at the beginning, some kind of vowel (probably a schwa), and then a breathy [x] or h or something. Oddly enough, this evening has been filled with thinking about paralinguistic expressions. Earlier I was impressed by a (possibly misleading) insight about 'oi'. not that 'oi' is paralinguistic, exactly, but it falls on the borderline, I think. I did a quick search on COHA and COCA and you're right. 'meh' in this sense doesn't make an appearance until about 2005. There are some earlier uses of it to spell 'me' - not sure if those are misspellings or some attempts at accent replication. And those are discussions of 'how the young folk speak'. I had always thought of ugh (approximately [ɔχʁ̥] for me) and ew (same as the word ewe; non in my active vocabulary) as two distinct exclamations, the former expressing disappointment/frustration and the latter disgust. Also, can anyone confirm my impression that ew is more commonly used by female speakers than by male speakers? army1987: Yes, ew /u:/ is (almost) always used by females. @ army1987: "Also, can anyone confirm my impression that ew is more commonly used by female speakers than by male speakers?" It's definitely seen as more feminine where I'm from. To be more specific, it's associated with teenage girls. It's also said with a certain intonation which I can't describe. I've seen meh much more in writing than I've heard it in speech. I've only heard it Bart Simpson's speech, come to think of it. This a bit off topic, but I'm looking to get a copy of LPD. I want it to fairly up to date though. Is the 2008 edition the newest one? @ Robert Gibson: I'm curious why you transcribe it as /u:/? I thought it was a sound which couldn't be transcribed phonemically. In the part of America where I live it is phonetically realized as something like [ɪu]. It doesn't sound like the o in do. Maybe I missed something. I've had to disable anonymous commenting again. Juan: I agree, up to a point. 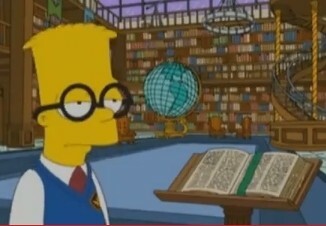 Bart was the only person I'd heard use it in speech. But I think it then got transcribed on amusing blogs, and the spoken version gained more currency from there. I've certainly heard it used more in the last couple of years, even though the Simpsons audience is declining. On "eeuw": around 2002 I saw a web comment asking how it ought to be pronounced. The questioner was directed to the pronunciation used by Phoebe Buffet. I'm not sure that she invented it, but Friends certainly did a lot to popularize it. “Pouah” sounds quite old fashioned in French nowadays. I think most people would now say “berk” or “beurk” (something like [bɛʀk] or [bœʀk]) to express disgust. Out of context I had better explain that by «"a lexical item which may be more susceptible of grammatical and phonological categorization", like "tut-tut" etc, which represent even more extra-systematic phenomena» I meant (a) that e.g. the spelling pronunciation jʌk makes possible the long-established 'yukky', 'yuksville' (the latter on the wane by the look of Google) etc, and (b) that similarly tʌtˈtʌt makes possible 'tut-tutting' etc even though as you say 'tut-tut' represents click phenomena which are even more extra-systematic in the case of English. But who would have thought that the phonotactically impossible 'meh' with final DRESS would be susceptible of grammaticalization, as reported in the Wikipedia article referred to by Dominik ("It can also be an adjective, meaning mediocre or boring")? I find that really disconcerting, and feel that 'meh' is so phonologically extra-systematic that in an ideal world the "adjective" should be seen as an interjection and put in inverted commas. «The word gained popularity as a result of its use on The Simpsons. It was used in a 1994 episode… As early as 1992, however, the word appeared in a posting to a Usenet Internet forum… In November 2008, the word was added to the Collins English dictionary, a British publication published by HarperCollins. Cormac McKeown, senior editor for Collins dictionaries, said: "This is a new interjection from the US that seems to have inveigled its way into common speech over here. A footnote to the article links to the Sky News report of that, and of the fact that the word had been chosen from terms suggested by the public for inclusion in the dictionary's 30th anniversary edition. «It’s all over the Web, where it’s usually described as having gained popularity over the past few decades. I feel sure I’ve heard it all my life, but thought it was just some sort of vocalized grimace. But if it now enjoys both conventionalized spelling and widespread use it is a word of sorts, just as much as any interjection. For interjections are not proper words, despite Collins’s definition “3. a word or phrase that is characteristically used in syntactic isolation and that usually expresses sudden emotion; expletive”. The best thing about this definition is that the reference to syntactic isolation makes it clear that they are not fully-fledged words as they do not belong to the ‘double articulation’ of language. i.e. they are not an integral part of language proper. I went on to quote definitions from the many online dictionaries that already listed it, and from the then version of Wikipedia (no mention then of the phonotactically preposterous adjectival use! ): "An interjection expressing apathy, general indifference, and boredom, meh does not originate with The Simpsons, but has been dramatically popularized by it." I've always imaɡined that meh was somehow related to the Yiddish feh, but it could, of course, be entirely coincidental. No American I know would pronounce "ugh" as [ʌx]. "gh" spellings don't get the [x] treatment around here. I agree. "Eew" is a veeery slow diphthong [iu] or [iɯ]. Definitely paralinguistic. And, in my experience, mainly said by girls. As @army1987 points out, is "meh" any more "phonotactically preposterous" than "yeah"? Certainly it is. For non-rhotics at least,"yeah" is a phonologically well-formed sequence realized [jɛə] to rhyme with 'bear' [bɛə] by me and probably most non-rhotics who don't pronounce it [jɛː] to rhyme with 'bear' [bɛː]. But it's an interjection or "sentence substitute" and therefore isn’t required NOT to be phonotactically preposterous. I have to look no further than my rhotic son who says [jɛə] but [bɛɹ] for a pronunciation of it that is phonotactically incongruous, to say the least. I'm an American male who uses "ew" at least occasionally, and for me it's a falling diphthong [ɪu] (although now that Amy Stoller points it out, I do sometimes use a more emphatic, bisyllabic [iːuː]). I'm not sure on the accepted terminology, but I like to call this [ɪu] a "marginal phoneme", in line with the centering diphthongs [ɪə] and [ɛə] which I use in "idea" and "yeah", respectively, despite being rhotic. Regarding "meh", I pronounce it [mɛ], with a paralinguistic violation of phonotactics as in my "uh" [ʌ] or "duh" [dʌ]. I've also got some kind of a "yugh" which I tend to pronounce [ɪəχ]. Sorry, I meant to use [ɪʊ] rather than [ɪu] above. I think I just assumed that "meh" was popularized on the internet in text discussions like this, which may be why it can so easily be grammaticalized despite being an awkward sequence of phonemes in offline speech. Just a thought to explore anyway. As for "ew", to me it's more about being "cutesy" or "playful" (usable by any gender) than necessarily being "effeminate" (ie. female only). It's perhaps too simplistic to say that an utterance is "male only" or "female only" on a planet full of differing viewpoints, sexual orientations, generations and (sub)cultures. There are many more dimensions to consider than just gender difference. Mallamb: "Yeah" is [jɛ], also notated "yeh", so it does rhyme with "meh". The form you give appears to me to be a spelling pronunciation. Oh, a good read. Learned a lot here. Interestingly, "meh" means something else totally different in Chinese-Cantonese. We add "meh (咩)" at the end of a sentence when we're inquiring about something, especially to express surprise and/or skepticism. "Meh" also means "what" in Cantonese. No. For me it is the marginal "yeh" which is [jɛ] or [jɛː]. Unlike you, to whom vowel length is always allophonic, I have to report both (as well as [jɛə]). But does your "yeh" _really_ rhyme with your "meh"? I mean like necessarily? I suspect you don't also have [mɛː]: the short checked vowel appears to be a key element in the paralinguistic mimetic function of that. The [jɛə] I give appears to you to be a spelling pronunciation because you are rhotic. I am not, and neither is my [jɛə] a spelling pronunciation. Neither is my rhotic son's [jɛə]. I would say "yeah" is on the contrary a pronunciation spelling, and therefore intended to represent [jɛə]. I think it appeared too late to represent a truncation of "yea" [jeɪ]. OED: yeah, adv. [I think not!] colloq. (orig. U.S.). Repr. a casual pronunc. of yes adv. Cf. oh yeah int. 1905 Dial. Notes 3 67 Yeah, yep,‥variants of yes. But these are not "words" with "pronunciations", "spelling" or otherwise. I usually say [jɛə] and occasionally I might say [jɛː]. If I had to write those I would write them "yeah". Depending on the circumstances I might say [jɛ], [jɛh] or [jɛʔ]. I would write those "yeh", but thousands wouldn't. John C please note. But Lazar, I don't see how you can call this [ɪu] or your revised [ɪʊ] any sort of phoneme, even if by that you mean a realization of a phoneme. What phoneme do these things in square brackets represent? I concede that a phoneme may be represented by a phonetic diphthong, but what is the determining context for these realizations? Extralinguisticity?? And in what other contexts do they occur? Are you counting things like [dɪʊ] for 'do'? I'm glad we agree to call [ɪə] and [ɛə] centring diphthongs, but again they are phonetic ones. And there is nothing marginal about the sequence of phonemes /aidiə/ having [ɪə] in AmE, though some of the orthography is a bit peculiar: onomatopoeia, sangria (the missing acute in OED certifies it naturalized)… [ɛə] does seem marginal, but only as a sequence: it is the sequence /eə/, which is indeed marginal in AmE. Unless any AmE speaker monophthongizes the nuclear dipthong in Freya, as I do, but that would probably be [freə] as it is for me (and that is still /freiə/, as there is nothing else for it to be, being, as it is, distinct from frère /freə/, with the /eə/ of my [ɛə] in /jeə/). I see one online dictionary has an example of "uh" being even more grammaticalized than "meh": He stood there uh'ing with disbelief (urbandictionary.com). I looked that up because I knew it existed, but even Wiktionary hasn't got so far as to have lexicalized it. But that would be ɜːriŋ for me: "uh" has been knocked into phonotactic shape for verbing. I would also have ɜːd for "uh-ed" as in "uh-ed and ah-ed". What are the transpontine equivalents? I don't actually say meh, as I've never watched The Simpsons and have no real idea (a trisyllabic word, no centering diphthong involved) how to pronounce it. As for [mɛ] or [mɛ:], they sound to me like goat or sheep noises.